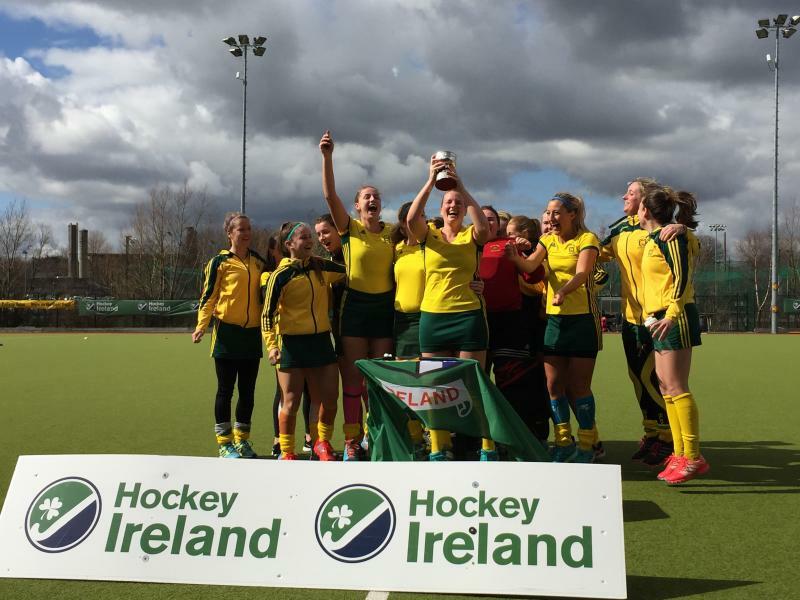 Railway Union’s experience prevailed as their combinaton of decorated senior players and talented young guns proved too strong for UCD in the women’s Irish Junior Cup final, retaining the crown for a second successive season. Cecelia Joyce and Kate Dillon got the key goals either side of half-time with Kate McKenna the creator each time with incisions from the right baseline. In the first half, it was a swift battle from end to end with numerous chances at each end. UCD had two big shouts for penalty strokes waved away. Three corners were also repelled with Riona Norton making a series of good saves while her defensive team got the crucial deflections to powerful Freya McDermott slap shots. Railway, though, had an excellent forward line, packed with experience with plenty of senior medals to their name. And they got their first goal in the 28th minute when two of them combined, McKenna making the inroads from the right flank, squaring for Joyce to tap in at the back post. The Sandymount club went on to boss the early stage of the second half with UCD keeper Laura Gunning making a couple of key saves while Kate Orr had a couple of drag-flicks charged down. The second goal was coming, though, and it arrived in the 44th minute. Again McKenna – an All-Ireland senior football champion with Dublin – was the creator as she weaved in between three players before laying off to Kate Dillon who swept in on her backhand for 2-0. UCD were roused after that with Jane O’Brien crashing a shot into the outside of the goal following Camila Arbulo’s interception. McDermott hooked another corner shot wide in their late bursts forward but Railway stayed firm to see out the result with a decent buffer.